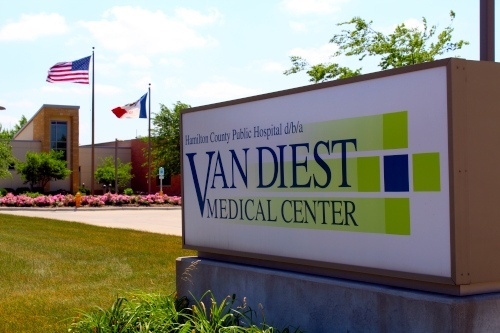 Van Diest Medical Center is a 25-bed Critical Access Hospital and is located in Webster City, IA. We offer a competitive wage and benefits package. Webster City is a community of about 9000 people and offers our employees opportunities for both personal and professional growth. Our size allows for the comfort and security of a small town with easy access to metropolitan activities. Van Diest Medical Center encourages, promotes, and demands quality customer service and the highest ethical standards in all its internal and external relationships. If you would like to be considered for a current opening you must complete and submit the online application. Van Diest Medical Center is an Equal Opportunity Employer and features a Tobacco-Free Campus. Offers of employment are contingent on a pre-employment background screening, physical and drug screen. Explore our current employment opportunities here.